To the Kitchen! is a theme for November at Poppins Book Nook - just in time for festive holidays. 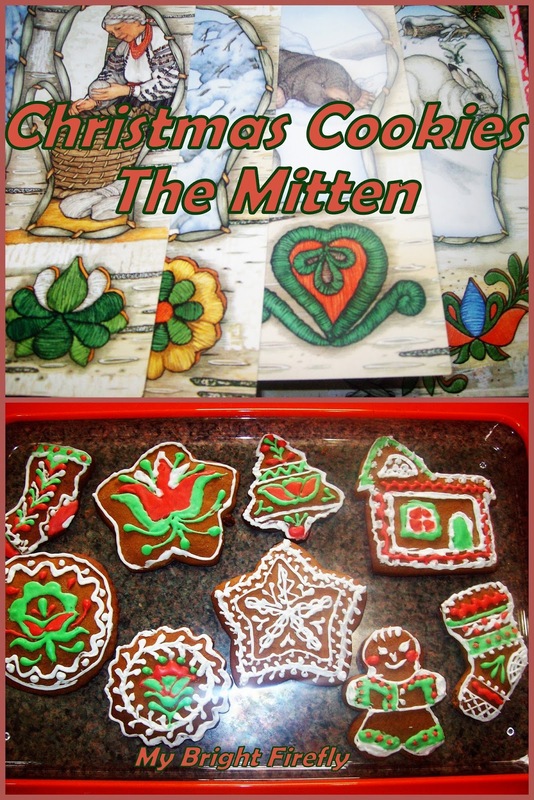 We got out our favorite winter story book by Jan Brett and got busy decorating Christmas cookies. 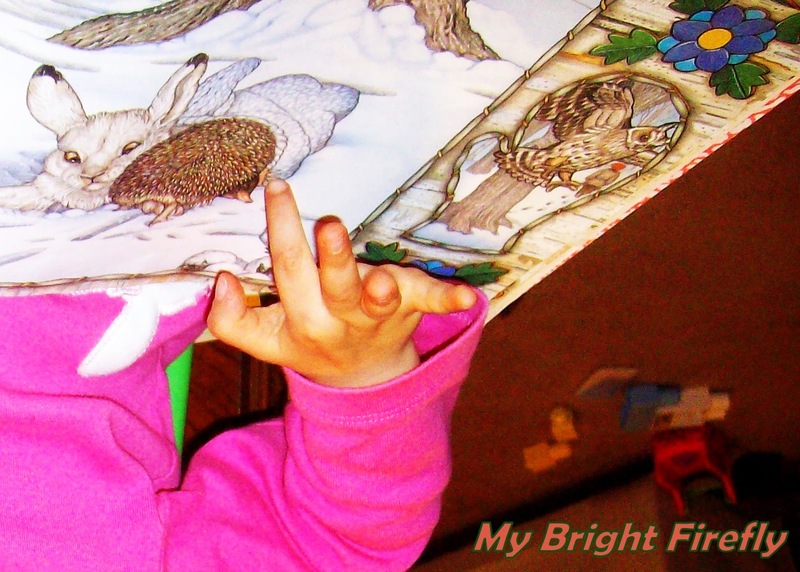 You can find our previous Poppins Book Nook activities here: http://www.mybrightfirefly.com/p/poppins-book-nook.html. Our favorite book of the month is "The Mitten" by Jan Brett. This truly beautiful book, a folktale from Ukraine, offers a simple story line. It is not easy for wild animals to survive in the cold winter forest. They'd better be together and warm each other up! So animals squeeze into a single white mitten found on the snow. There is room for everyone. Yes, even a bear. The illustrator's attention to detail makes her books so special and delightful. Pictured below, there is so much to notice on every page: the facial expressions of the animals, the "window" to the next page in a shape of a mitten... and wonderful samples of traditional European embroidery. 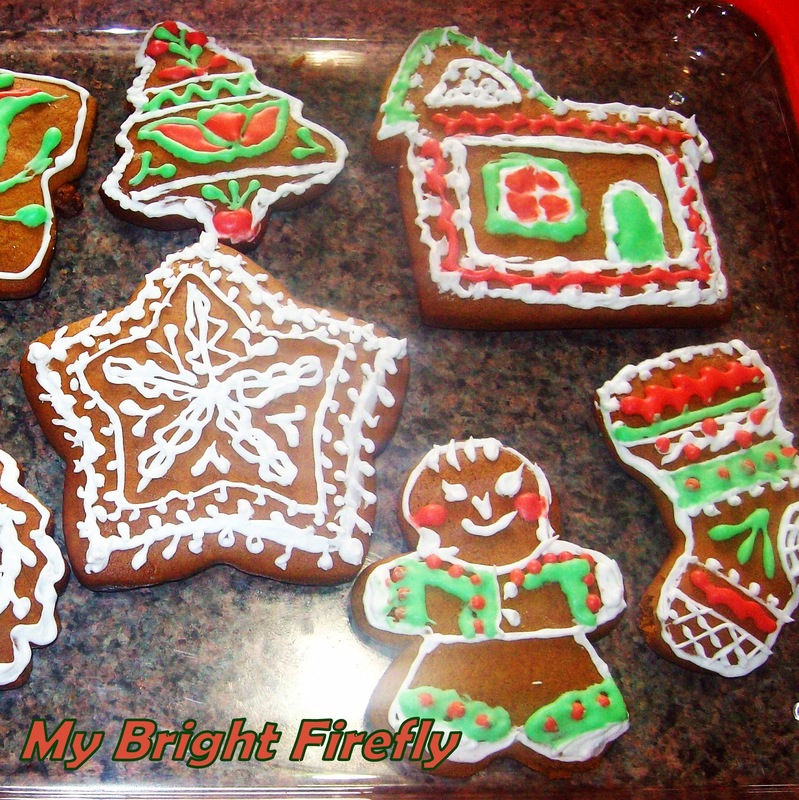 The wonderful artwork of the book has inspired us to decorate our Christmas cookies. 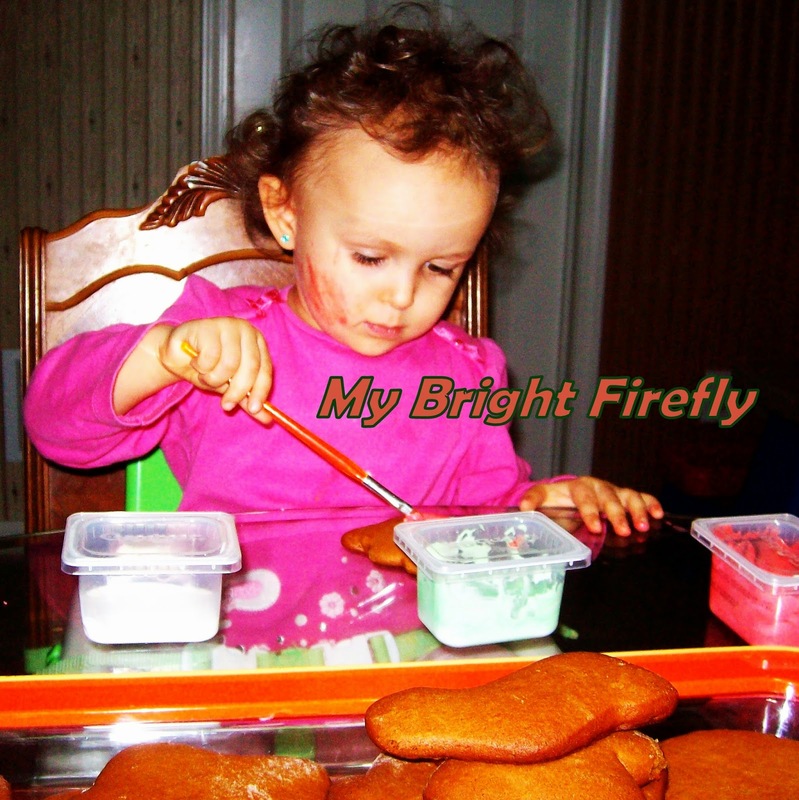 My Firefly tried to copy my work and play with colors of the icing. So I had enough time to get into decorating myself. Yay! 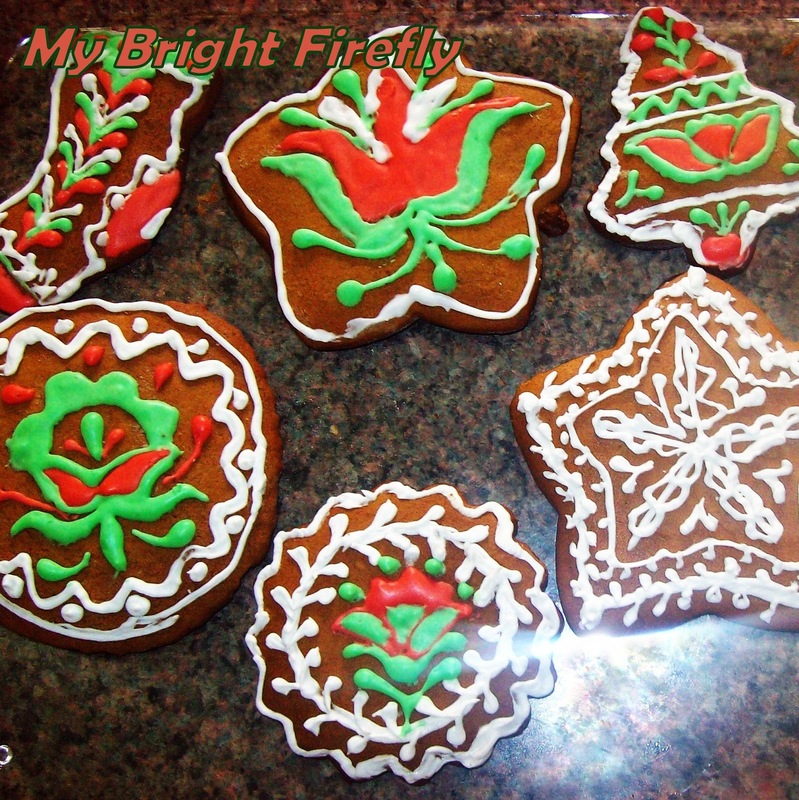 Even through the cookies might not as beautiful as the patterns in the book, I'll admit, I enjoyed the process. It's time for a Poppins Book Nook - a book club that goes live on the last Monday of each months. 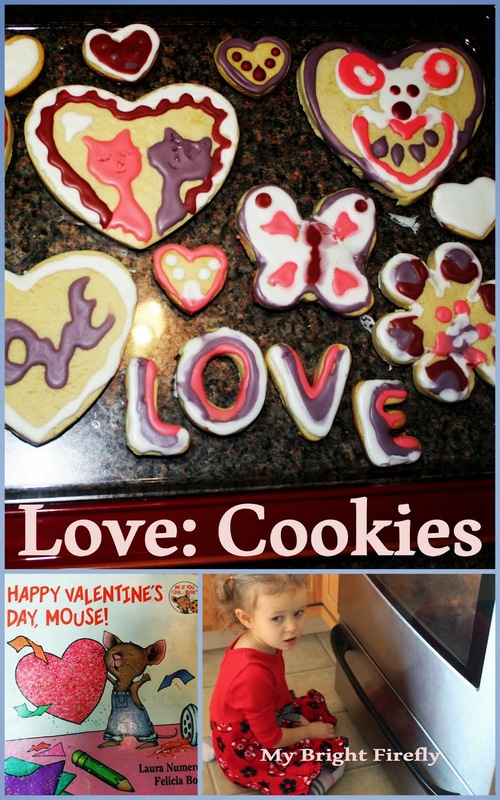 The theme for this month is "To the Kitchen". 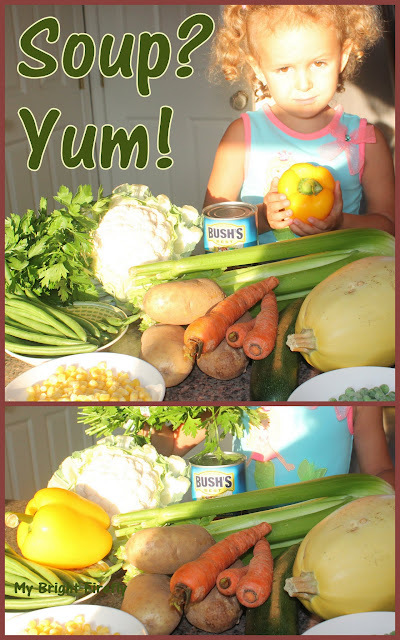 This is a very exciting topic - it calls for all things holiday cooking and quality family time. 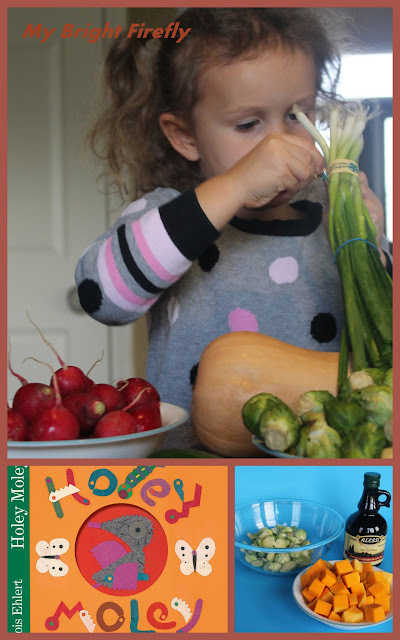 Visit the hosts of Poppins Book Nook to find out what the kids were up to, their adventures and discoveries in the kitchen. R is for Reindeer. Shapes. B is for Birds. Beans and Play Dough Birds.